Home Books Exclusive Photos from YA Book Convention – YALLWest! 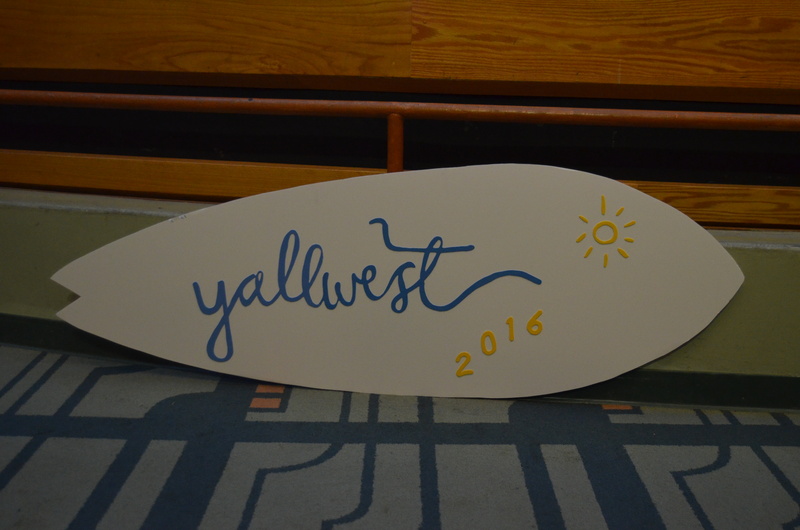 Exclusive Photos from YA Book Convention – YALLWest! HNS got to attend the West Coast’s top YA book convention – YALLWest! Check out our exclusive photos from the event below and stay tuned for exclusive interviews with some of our fave YA authors. YA authors Richelle Mead & Kami Garcia at a panel. 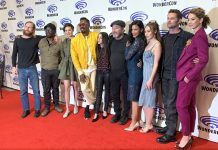 Following a Friday April 29th Preview Night at the Santa Monica Main Library, YALLWEST spanned the weekend of April 30th – May 1st. Saturday and Sunday events included 60 panels and more than 100 authors, including 62 bestsellers. 2014 Los Angeles Times Book Prize Finalist Rainbow Rowell (Carry On), gave Saturday’s opening keynote, while 2016 Newberry Award winner Matt de la Peña (Last Stop on Market Street) and 2016 Coretta Scott King Honoree Jason Reynolds (All American Boys) gave the closing keynote. Among the attending authors are YALLWEST’s board members Ransom Riggs (Miss Peregrine’s Home for Peculiar Children), Veronica Roth (Divergent), Leigh Bardugo (Six of Crows), Pseudonymous Bosch (Bad Magic), Holly Goldberg Sloan (Counting by 7’s), Kami Garcia (Beautiful Creatures), Richelle Mead (Vampire Academy), Brendan Reichs (Virals) and Ally Condie (Matched)—as well as M.T. Anderson (Feed), Victoria Aveyard (Red Queen), Soman Chainani (The School for Good and Evil), Alexandra Bracken (Passenger), Nicola Yoon (Everything, Everything), Holly Black (Doll Bones), Libba Bray (Diviners), Michael Grant (Gone), Shannon Hale (Princess in Black), Jenny Han (P.S. I love you), David Levithan (Every Day), and Sabaa Tahir (Ember in the Ashes).